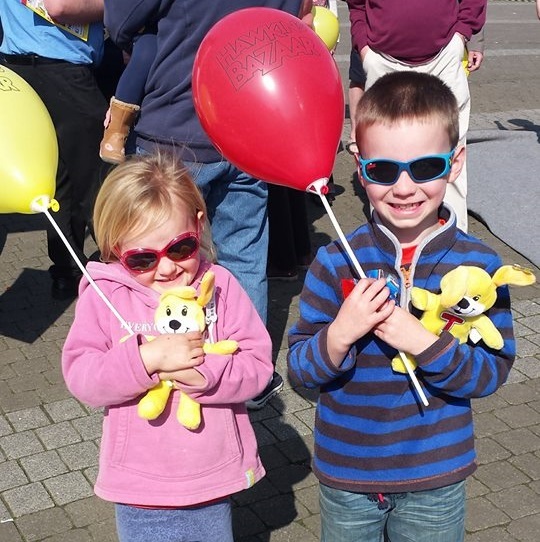 Fun will be the theme for Truro city centre on Saturday 14th April as many shops and cafes make youngsters their focus for the entire day with free activities, fun workshops and great offers for a childrens fun day. Lemon Quay will be a hive of activity with kids rides, circus performers, 'Teddy Tennis', games. 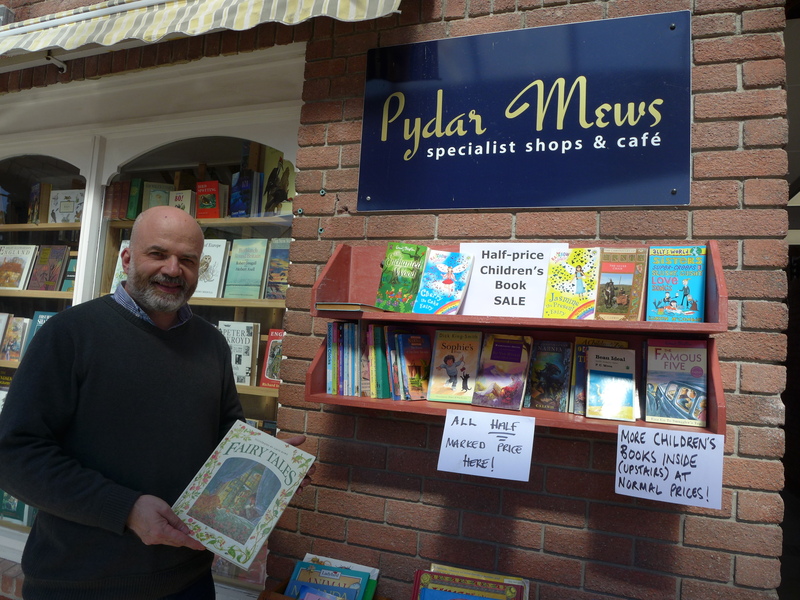 The farmers market will be serving fine local produce, and pydar street will play host to pop up theatre, a puppet show and choir singing between midday and 3pm. There is enough activity within the shops to keep little (and big) ones entertained all day with free craft corners, games, treaseure hunts and giveaways galore. With eateries also offering exclusive discounts on kids meals this is collectively a great day out in our great little city ! The fun runs from 10am - 4pm across the city centre. Shelterbox - will be 'Rocking' Truro ! Joining in on the current craze for hiding and finiding decorated rocks they'll be hiding some very special Shelterbox rocks - if youre lucky enough to find one you'll be able to bring it to the Shelterbox visitor centre and swap it for a prize ! Shelterbox Rocks will be hidden all around Truro, when you find one post a picture to their visitor centre Facebook page, then come along to the visitoe centre and swap your rock for a special Easter Prize. 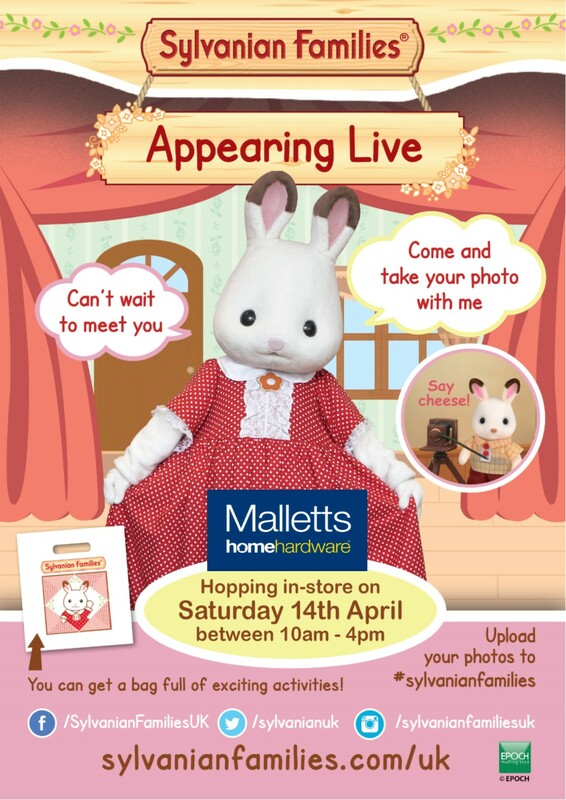 Mallets Home Hardware welcome Sylvanian Freya Chocolate who will be 'hopping' in with her buddy Toby Toymaster puppy. FREE Art and Craft Activities and Sylvanian coloring competion. For hungry tums, pop upstairs to the cafe for a kids eat FREE for under 10's. The Entertainer Toy Store will be jam packed with demo's and competitions for kids to get stuck into - including 'design a JoJo bow', PJ Masks Super Saturday, WWE Competition and kids could win there own weight in slime ! Animal on River Street will have a colouring corner & will be offering 20% off childrenswear also this year there will be an Easter Word Scramble contest : eggd with letters are hidden around the store, and hte children who find them all and unscramble the word enter a contest to win £50 of Animal Childrens clothes. Truro Library will be running an animal themed treasure hunt form 10.30am - 2.00pm. Follow the animal footprints and solve the creature clues. Collect the pieces to create your own mythical creature. Children can then leave their creatures to be displayed in the libary or take them home. Truro Arts FREE drop in junk modelling workshop from 5yrs+. Get creative and messy woth the whole family and see what you can create. Pop in any time between 9.30am - midday, grap a coffee, cake and enjoy the fun. Waterstones are buddying up with the Royal Cornwall Museum from 10am with there 'historical handling boxes'. Have a sneak peak at some artefacts from World War 1. The museum and Waterstones are also doing a joint competition running from 14th April - 21st April. The competition will be drawing or writing about an inspirational person. More details in store. Claire's Accessories will be offering FREE glitter face painting and hair spray instore. Monsoon/Accesorize - .Monsoon will have face painting, hop scotch and an egg hunt and Accesorize will have a colouring competition and Easter hat making day. Both stores will have 20% off children’s wear for the day. 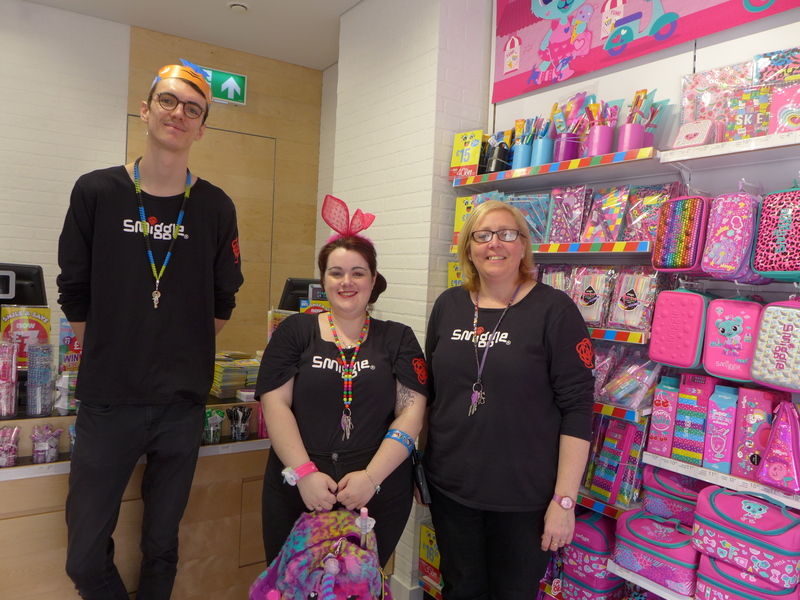 TK Maxx are running an Easter egg hunt in store and will also have a craft table set up for all children to come and play and enjoy. The Body Shop will be offering free kids bunny face paint with each adult who signs the petition campaiging for a global ban on animal testing, they will also have 'FREE shower gel or Body lotion when you spend £15 instore. Hawkins Bazzar will be offering 10% off none sale items plus we will be giving away balloons in store. JoJo Maman Bebe are offering a free children's sticker book with every purchase. Daisy Fayes Nurseries will be delivering childrens activities, free 'farm animal' themed face painting and a lucky dip. They will also be giving out free childcare vouchers for parents/guardians from 10am on Lemon Quay. Truro Pannier Market & Tinner's Court: Faceless Monkey: 10 FREE Pokemon cards with every £10 spent in store, Bobs Fancy Goods: 10% off watch batteries, Who's Next: Children's day deal can be found in store, Pannier Market Wool: Spend over £5 and receive a FREE pair of children's knitting needles, The Tin Man: Children's day deal can be found in store, Pandora's Box: 10% off in store and a little Easter treat!, Burgess Bedding: 10% off oilcloths, perfect wipe-clean tablecloths for your home, garden & caravan, Truro Locks: Free keyring with each key cut, Fodders Espresso Bar: 1 FREE child's hot chocolate with each adult meal, The Veg Patch: Free apple for purchase over £3 (limited to 1 per customer) Pick N Mix : Free fruit pop lollipop per £2 customer spend. Dainty Dolls & Little Treasures: Special offer £5 rail plus an extra 10% off any purchase upon production of their special flyer. Free pack of sweets with every purchase. The Compton Castle Coffee House, A FREE kids meal deal with every full paying adult lunch, plus FREE Easter egg hunt for each child to find the eggs around the boat and if all are found win a chocolate egg ! Zafiros kids films will be on all day, pop in for a relaxing coffee or lunch while the kids catch their favoruite flicks. Kids Eat FREE on orders over £15.